PAYMENT All outstanding balances for cleaning services carried out are payable by cash, cheque or direct debit [details provided on invoice] as per the Always Clean Australia invoice due date for payment supplied to clients upon completion of the job. If paying by cheque, the customer will be responsible for all bank and legal charges resulting from a dishonoured cheque. The Customer agrees and authorizes Always Clean Australia to charge any outstanding amounts owed to Always Clean Australia with regards to the cleaning service provided plus travelling expenses and parking fees (if any) and up to the total amount of the booked services to the debit/credit card the customer has provided to Always Clean Australia. Any additional costs incurred by Always Clean Australia for the recovery of overdue accounts will be passed on to the client. Any costs incurred by Always Clean Australia to recovery overdue or unpaid accounts via mercantile agents will be paid by the client at an additional rate of 20% of the value of the total invoiced amount owing. As a Guarantor:You do not pay any of the guaranteed money when called upon so to do. If you are in default under our Agreement, we may send you a default notice. What you are required to do to correct the default. That you have 10 business days to correct the situation causing the default. We may perform your obligation at your cost if you fail to do anything that our Agreement requires you to do. 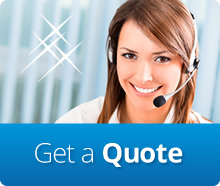 CLAIMS Always Clean Australia has a public and employer’s liability insurance. The policy will cover any accidental damages caused by an operative working on behalf of Always Clean Australia. The customer accepts and understands that poor service, breakage/damage or theft must be reported within 24 hours from our service date. Failure to do so will entitle customer to nothing. Always Clean Australia advises that the customer or a customer’s representative must be present at the time of completion of the job so an inspection can be carried out and any corrections made on site on the same day. If the customer has scheduled an inventory check then it must be scheduled to commence no later than 24 hours after the cleaning job has been carried out. In case of damage Always Clean Australia will repair the item at its cost. If the item cannot be repaired Always Clean Australia will rectify the problem by crediting the customer with the item’s present actual cash value toward a like replacement from Always Clean Australia source upon payment of cleaning services rendered. If the customer is not completely satisfied with a cleaning job, Always Clean Australia will re-clean any areas and items to customer’s satisfaction. All fragile and highly breakable items must be secured or removed. Items excluded from liability are: cash, jewellery, items of sentimental value (the customer will be credited with the items present cash value), art and antiques. Key replacement/locksmith fees are paid only if keys are lost by our operatives. There is a $90 per location liability limit. Always Clean Australia reserves the right not to be responsible for: cleaning job not complete due to the lack of suitable cleaning materials and/or equipment in full working order, hot water or power; third party entering or present at the customer’s premises during the cleaning process; wear or discolouring of fabric becoming more visible once dirt has been removed; failing to remove old/permanent stains that cannot be removed using standard carpet cleaning methods; existing damage or spillage that cannot be cleaned/removed completely using provided by the customer cleaning materials and equipment or standard carpet cleaning equipment; any damages caused by a faulty or not in full working order materials/equipment supplied by the customer; accidental damages worth $120.00 or less; any accidental damages caused by our cleaners if the customer has an unpaid balance owed to Always Clean Australia. Customer may cancel a cleaning visit/s by giving at least 24 hours advanced notice. Customer may terminate the whole service by giving two week (14 days) advanced notice in writing and specifying the last cleaning date. Upon termination, the Customer agrees to pay all outstanding accounts in full by the termination date. Customer agrees to pay the full price of the cleaning visit if the customer cancels or changes the date/time less than 24 hours prior to the scheduled appointment. Customer agrees to pay the full price of the cleaning visit in the event of a lock-out caused by our cleaners being turned away; no one on site to let them in; or problem with customer’s keys. If keys are provided they must open the lock without any special efforts or skills. Customer agrees to pay the full price of one cleaning visit in case of a termination of the service if the customer has given less than one week advanced notice. Customer has the right to terminate the service without giving one week advanced notice but by giving 24 hours advanced notice before or immediately after the first cleaning visit only. End of Tenancy cleaning: Customer may cancel the scheduled cleaning job at least 24 hours prior to the agreed start time. Customer agrees to pay $60.00 cancellation fee per cleaner if the customer cancels or changes the date/time less than 48 hours prior to the scheduled appointment. Customer agrees to pay $60.00 cancellation fee per cleaner in the event of a lock-out caused by our cleaners being turned away; no one on site to let them in; or problem with customer’s keys. If keys are provided they must open the lock without any special efforts or skills. One-off cleaning: Customer may cancel the scheduled cleaning job at least 24 hours prior to the agreed start time. Cleaning will only commence after we receive a purchase order. Customer agrees to pay $60.00 cancellation fee per cleaner in the event of a lock-out caused by our cleaners being turned away; no one on site to let them in; or problem with customer’s keys. Keys must be arranged by the client. If keys are provided they must open the lock without any special efforts or skills. Carpet cleaning: Customer may cancel the scheduled cleaning job at least 24 hours prior to the agreed start time. Customer agrees to provide keys for entry of our cleaners; or must have someone on site to let them in; must provide water and power available at customer’s premises. If keys are provided they must open the lock without any special efforts or skills. If an initial deposit has been paid to Always Clean Australia then the customer agrees that deposit funds may be used to cover the cancellation fee. A sixty dollar [$60] call out fee applies in the event that our cleaners are unable to access the site or if no power and/or water are supplied. NOTE: OUR TERMS OF TRADE ARE SUBJECT TO CHANGE. PLEASE RETURN PERIODICALLY TO REVIEW WEBSITE REGULARLY TO REVIEW THEM.